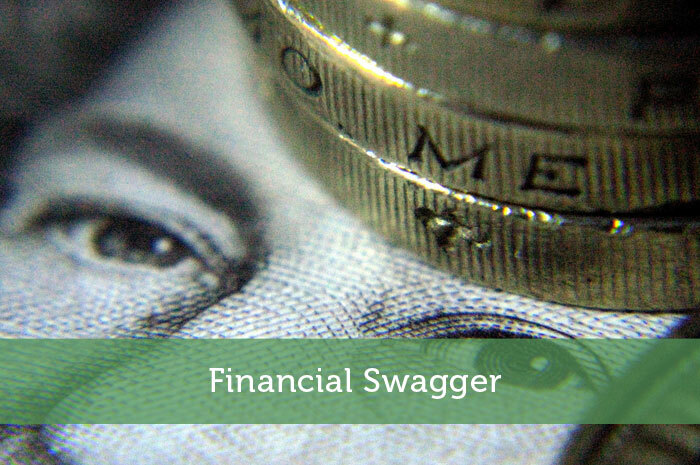 Do you have financial swagger? In the past nine episodes of the Charisse Says series on Modest Money you have become the CEO of your money, learned how the stock market works and why company earning matter when you are investing, received all of the tools to research and pick a financial advisor, been taught how to refinance your student loans, gotten familiar with mutual funds and ETFs, and been introduced to Robo Advisors. So what is the next step in building wealth? Getting your financial swag on. That’s right. The last episode in the series is all about Financial Swagger. What in the heck is “swagger”? According to urbandictionary.com, swagger is “How one presents him or herself to the world. Swagger is shown from how the person handles a situation. It can also be shown in the person’s walk”. Financial Swagger is having confidence in your personal financial decisions. No more fear! Fear will always hold you back whether it is in investing, your love life or in your career. One of my biggest reasons for not moving forward with investing is fear. Fear I will be judged by an advisor. Fear that I spend too much to invest. How do I deal with this? When it comes to investing, being fearful is natural, but you cannot let that fear hold you back from building wealth. The key to combatting fear is developing a personal strategy to move beyond the it. Here is a template you can follow to help get over the fear. Believe that you are the CEO of your money. I talked about this in our first episode. And I’m circling back because it’s so important to your confidence level. Only surround yourself with an A+ financial advisor team. Remember: your advisor acts like your Money COO, so if they judge you, you need to get rid of them because they are an F player. Spend on investing in your future first. And, this gets to Jen’s fear of spending too much. Switch up WHEN you spend your money. When you have income come in, first set aside money for your investments and then, you can spend whatever you have left over on clothes, shoes, dinners, or cocktails with friends, etc. You have to find the right level that works for you. Once you develop a personal strategy that works for you, you’ll feel as if you have more control and the fear with slowly dissipate. And do you know what happens then? You can walk around feeling confident that you have Financial Swag. What’s your number one investing tip heading into the holidays? The worst thing you can do around the holidays is dig yourself into a credit card black hole that is going to take the next 6 months to climb out of. If you’re saddled with credit card debt, how can you expect to invest? Instead of spending money you do not have and then stressing for months over credit card debt, choose your piece of mind and maintain your financial swagger. Everyone knows there is nothing cute about being saddled with debt. Watch the video below for my favorite investing tip, and cameos from Donald Trump and my production crew. Oh and did I mention: you will also get to see me dance, not once, but TWICE! If that isn’t a reason to watch, I don’t know what is. This is the last episode of the Charisse Says series on Modest Modest. I want to thank you for following along and I hope that you have found the series informative and entertaining. So press play, and as always: Keep building the wealth! I really like that first tip – you are the CEO of your money, with all the good and bad that comes with that. Thanks for sharing this informative article and video!